Pewter was particularly popular for decorating Christmas trees during the so called “Gründerzeit” era, which covered roughly the third quarter of the 19th Century. 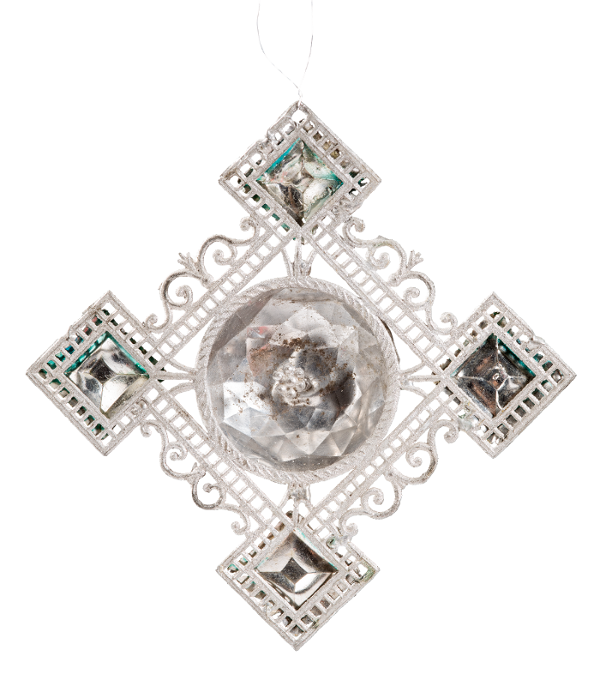 Christmas tree decorations were predominantly produced by the pewter foundries in the Nuremberg region but also in Freiberg and Pegau in the second half of the 19th century. The pewter ornaments reflected candle light particularly well thanks to its silvery shine and faceted surface. In order to achieve this effect, pewter ornaments were only covered with varnish and not with painted with opaque colours. Now and again pewter decorations were decorated with glass stones which increased the number of reflective lights even more. 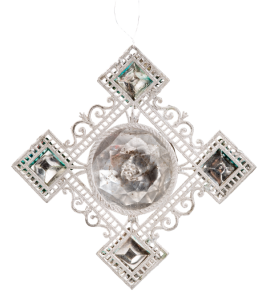 Nowadays, pewter ornaments, usually hand-painted, are a popular decoration on the Christmas tree. Slate stones are primarily still used today as moulds to make pewter ornaments. Using a drawing as a basis for the ornament, the engraver carefully engraves the stones by hand, until the mould for a pewter figure gradually emerges. A pewter alloy based on old formulas consisting of roughly 55% tin, 39% lead and 6% antimony is still mainly used today for hand casting the figures. This is the only way to guarantee a high degree of detailed accuracy and the delicacy of the ornamental figures.